Basic custom imprint setup & PDF proof included! 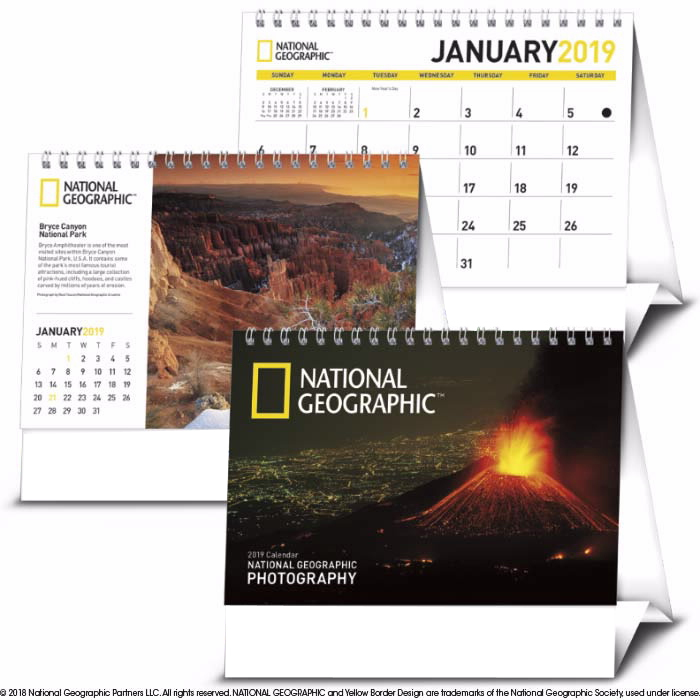 This large desk tent calendar features iconic photography from National Geographic that transports you around the Earth. Desk calendar includes the same ad message printed on both sides of the tent mount. 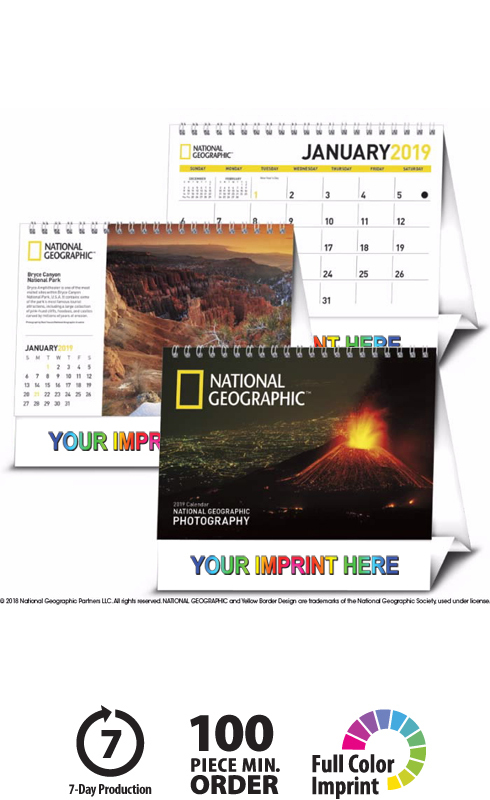 This high-quality Promotional National Geographic Desk Calendar will proudly display your message for the entire year! © 2018 National Geographic Partners LLC. All rights reserved. 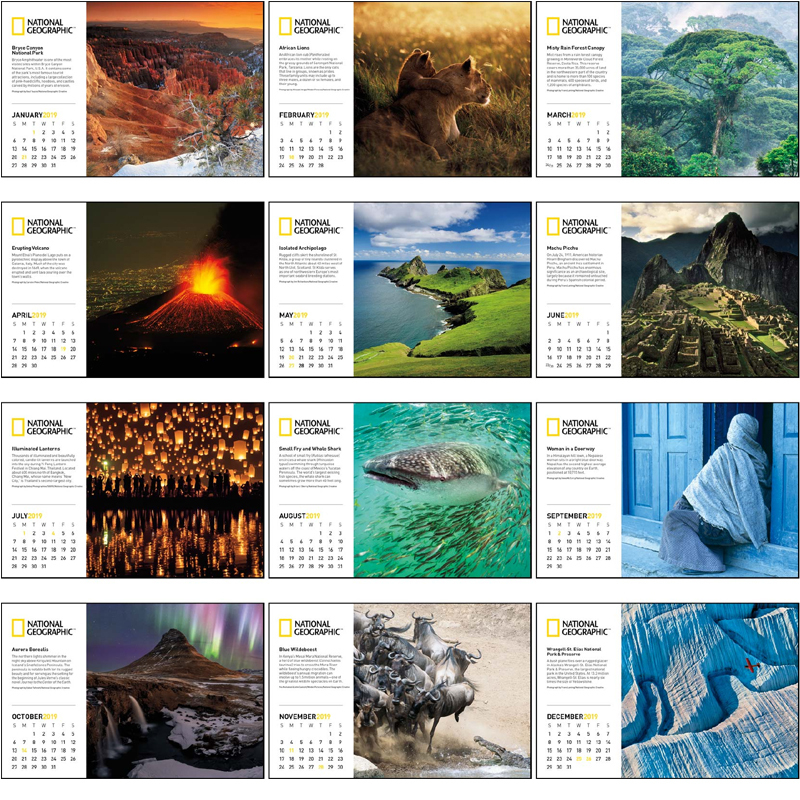 NATIONAL GEOGRAPHIC and Yellow Border Design are trademarks of the National Geographic Society, used under license.